In Part 1 I showed that a cheap satellite upconverter can be used as a microwave downconverter with some mods. In this post I'll show you the modifications needed, step-by-step tutorial style, and make lame jokes. After more experimentation and burned fingers today I've found a more efficient way to do the mod that provides a much stronger signal at the output of the downconverter! Soldering experience level: Moderate – SMD parts removal and fine soldering, but explained so the novice can complete it as well. Needle Nose Pliers or Screwdriver to take the case and shield apart. Volt/Ohm Meter to test for shorts etc. SURGEON GENERAL'S WARNING: If you choose to use this information to modify your equipment you take all responsibility for any damage that may occur, up to and including the complete destruction of every device, computer, power grid, interplanetary starship, and/or non-gender specific restroom diaper changing station that may be in the vicinity. Also, I'm not responsible for you burning your own (or others – NTTAWWT) body parts or your wife's/husband's kitchen table. NOT MY FAULT!!! Besides, if you sue me you wouldn't get much. An old moody cat, some chickens that don't lay anymore, and some broken down ham radios. Continue at your own risk! These boards are fairly forgiving so minor mistakes won't end your adventure. Just don't cross the streams when you can help it and don't hook it up to anything until the modification is complete. A general positive to ground short around the filters and such won't (shoudn't) kill it, but directly shorting the ICs on board or the regulator, well, no guarantees. First we'll remove all the parts that are in our way. Filters, DiSEqC stuff, etc. 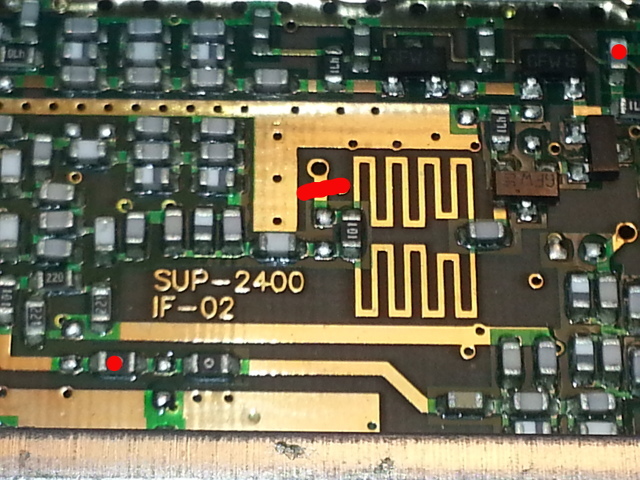 In the images below, parts marked with a red dot or line are to be removed from the board. I've found that by heating one side of the smd parts with the iron and applying a little pressure they will "flip" up on the opposite pad. From here you can use your tweezers to pull them off or apply a little more heat to the bottom side of the part to get it to release. Sometimes they'll stick to the iron, just flick or gently scrape them off. Don't worry about losing the removed parts. We're not going to be reusing them here. We'll start on the input section of the board. Remember red dots or lines are parts to be removed. 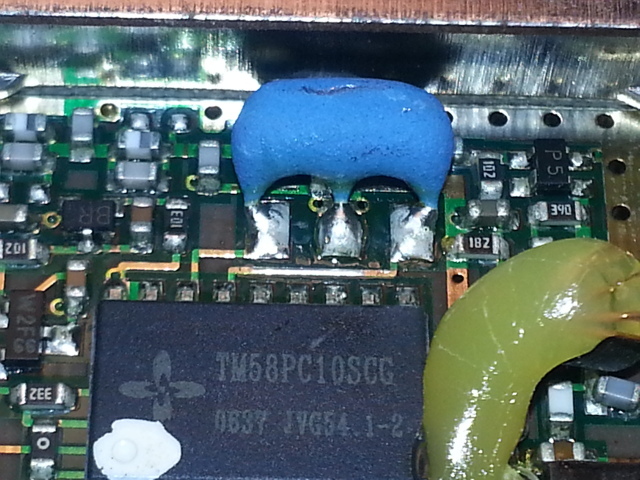 After you have removed those there is a capacitor under all that glue that needs to be removed. Also, in the lower right you'll notice a red dot on a resistor. Go ahead and get it off there too. In the next picture you need to cut the trace where the red line is marked. You could cut it between the solder blob and the 101 marked resistor if you like, just to avoid cutting the hole trace that we'll soon need. I've found that if I scrape across there with the tip of an exacto knife it goes a lot easier, even rolling the sharp edge up and applying plenty of pressure. The red dot in the lower left is the same as the one in the lower right in the previous picture, just to avoid confusion. The red dot in the upper right can be removed now too or wait until the step after this. There are four parts marked for removal in this image, including the one mentioned in the previous step. In this step you must VERY GENTLY bend the ceramic oscillator into an upright or leaning towards the IC position. The leads on this device are extremely fragile and it takes some force to bend it into an upright or forward leaning position. Take a small screwdriver or other tool, slide the tip in between the oscillator and the case, and gently apply pressure until it is in a position where you can use a finger tip to move it the rest of the way. It doesn't need to be bent all the way over, just enough to where you can safely reach your soldering iron tip to the board. If you move it around very much the oscillator WILL separate from the leads, so just get it into position and don't fool with it any more. We'll be coming back to this area in a future step. The first picture below is as it appears before adjusting the position. You've made it this far hopefully, now we begin wiring everything back up. For this part we'll need a small piece of magnet wire or similar about 12 inches (305mm) long. Cut it into pieces at the following lengths – leaving a little extra length on each for screw ups or mismeasurements. Two pieces at 2-1/2 inches (64mm) each, two pieces at 1-1/2 inches (39mm), two pieces at about 1-1/4 inch (32mm). If using magnet wire or any similar type that has a hard (painted on) coating, grab your exacto knife or whatever is handy and scrape about 1/16th inch (or 3-4mm) back on each end to expose the copper for soldering. Take your 1-1/4 inch (32mm) piece of wire and on one end strip back approx 1/2 inch (13mm). Don't bother with the other end., we're using it as a handle/prop. Once you have that ready make sure your soldering iron is clean, get your solder and tweezers ready, and continue to the next step. 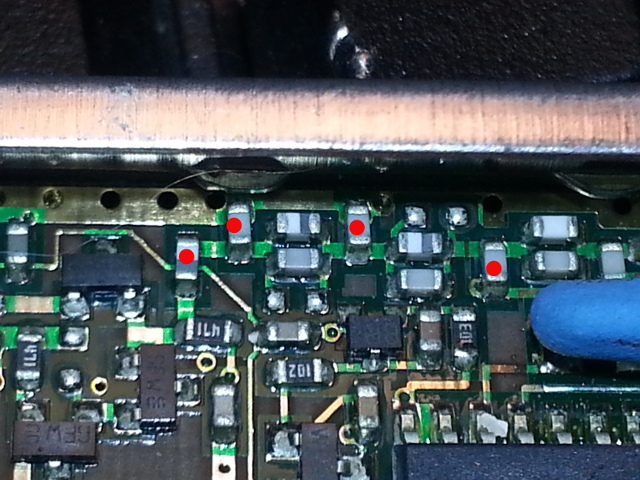 From here on out, areas marked with GREEN DOTS are where we will solder. GREEN LINES are the wire jumpers we are adding. This is the backside where you will solder and trim the excess. Once done flip the board back over and continue to the next step. This next image shows the first three jumpers connecting the previously mentioned points. First take your 1-1/2 inch (39mm) wire and solder one side to the RF input, which is the big blob of solder middle far left. The solder that is there is nasty to get started so tin your iron tip a little to help the heat transfer fast. 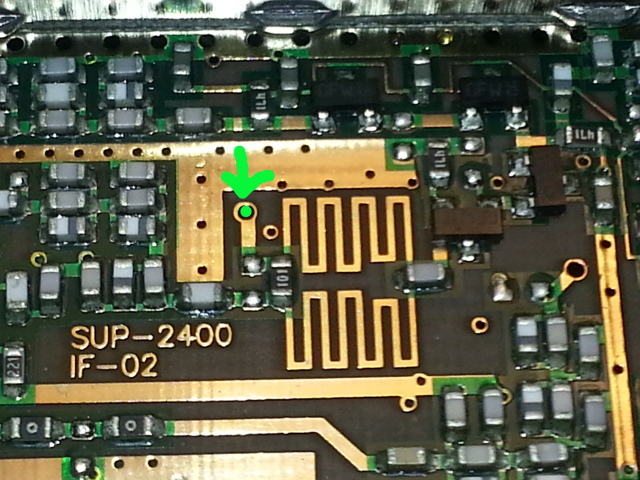 This is the most difficult part of the whole mod, solder (very little here) the other end of that wire to the capacitor marked in green in the far top left corner – solder it to the left side. Be very careful here as it is SO easy to create a solder bridge. If you have a solder sucker or solder braid you might keep it handy here. The wire should loop up a little bit once you're done there. The next wire to solder is 2-1/2 inches (64mm) and starts at the left pad where I marked the capacitor for removal earlier. 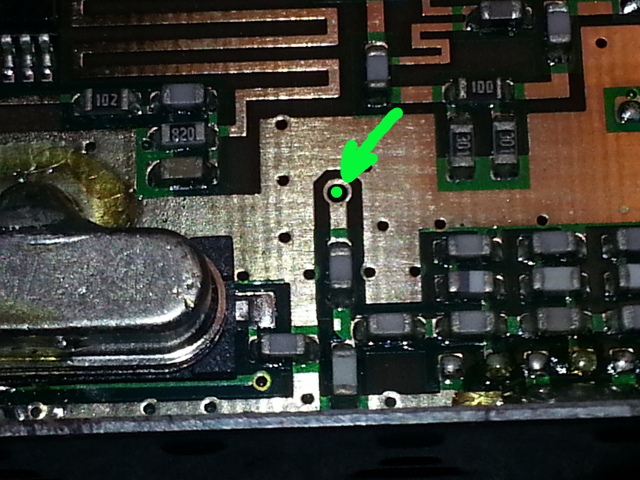 (The next green dot to the right of the RF input). 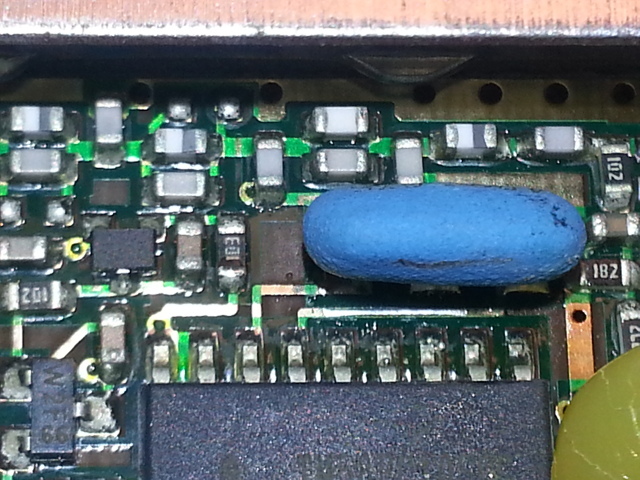 Apply a small amount of solder to the pad, and place the wire before removing the iron. Stretch the wire out so it touches the kickstand wire. If it is way too long you can trim it some but remember to strip your wire back again. Don't solder it to the kickstand yet. The final wire for this step begins at the bottom center green dot and you'll use the remaining 1-1/2 inch (39mm) wire. Solder one end to the bottom green dot and stretch the wire so it touches the kickstand wire. In this step we'll attach the remaining 2-1/2 inch (64mm) wire and solder it and the other two wires to the kickstand. Be careful in behind the ceramic oscillator! 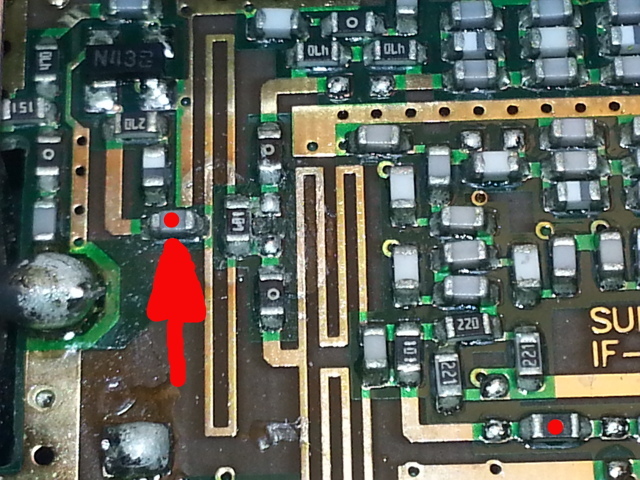 This pic just shows the solder point behind the oscillator, the following picture shows this wire feeding back to the kickstand for soldering. Make sure to trim and scrape as necessary then solder all three wires to the kickstand – above board level so as not to bugger up the board or bridge to ground. Now is an excellent time to get your magnifying glass or goggles out and have a good look everywhere your soldering iron got near. Little solder balls can normally be popped loose with your exacto knife, but if necessary use the soldering iron and solder sucker or braid. Make sure you don't have any bridges to ground or other unintended traces. Only one more wire to go. 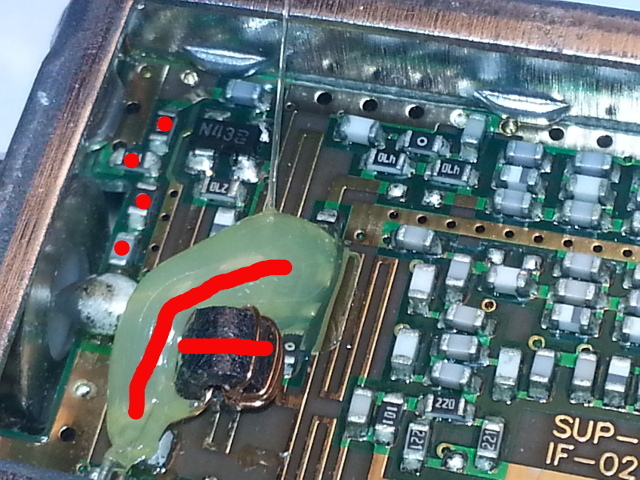 Flip the board over and solder the remaining 1-1/4 inch (32mm) wire as shown in the image below. This insures voltage gets to the PLL. 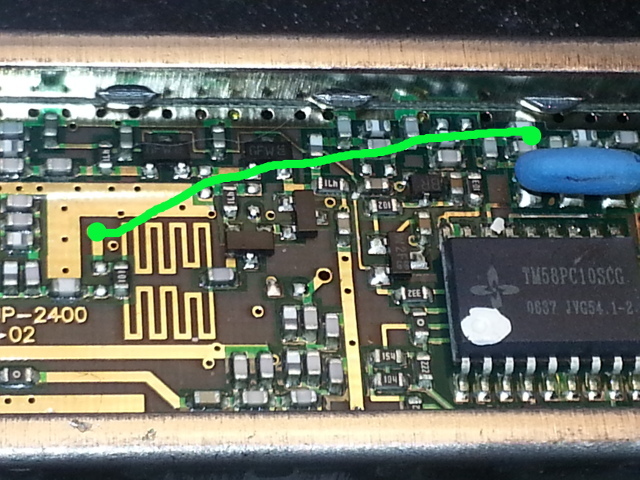 You'll need a bias tee that can provide 7-12v or so and feed from the SDR side (the side with the glued on cable). Make sure to hook your SDR or other radio to the correct side of the bias tee. You could fry your device, No fun! Well, if you were able to stomach my rambling and you made it this far, Congratulations! You now have a microwave downconverter capable of up to 4.5GHz with an RTL-SDR dongle for much less than an expensive SDR. I make no claims on performance but it should be pretty decent considering the costs involved. Remember you'll probably need an LNA for many purposes in the microwave bands due to the low power nature of the services and the distances involved. I hope this was helpful to you, if you have any questions I'll try to answer them in the comments below, on reddit, email, or whatever. I have 3 or 4 more of these laying here if someone needs one and isn't comfortable doing the mod themselves. Work out a trade or something. If you found this tutorial helpful leave a comment. 36 Comments on "SDR HACK Part II – The Mod – Receive up to 4.5GHz on your RTLSDR for $5.00"
Your articles are great. Licensed for 57 years. Eyesight is failing so wonder if you have an extra fully modified converter by Direct TV. Nothing to trade ut will pay you for your work. I am interested in S Band reception of deep space/lunar landers, rover and future USA return to the moon. Thanks so much for what you do. Hey Don, We can work something out. The cost of one from ebay and est. shipping to you is fine. After some more testing I’m going to recommend you buy or build a High Pass filter somewhere above the UHF TV band (900 – 1000MHZ would be a good spot since your rtlsdr will work great on its own there). TV signals have been swamping me here in the middle of the L-Band. Puts the IF down in the 480-860MHz TV band. Depending on how high you are looking to receive you may want to do some additional mixing before or after the downconverter to bring the IF down some more (easy enough). Some of the deep space stuff is around 6-8GHz. 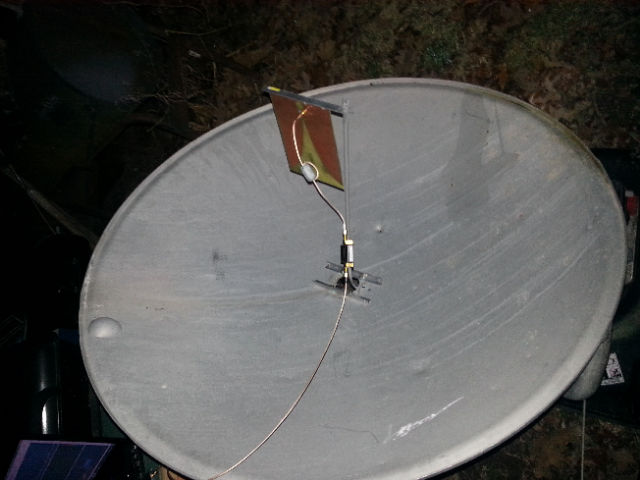 Otherwise it should do the job, assuming you have a big ugly dish to help on the antenna side of things for deep space (9-10ft dish – old C-band sat TV style). 1.What is the frequency offset/shift I need to use in software like sdr sharp to display the correct frequency? 2.What will I be able to get using this without the mod? 3. Can this be used for transmitting? 1. If working with frequencies above 2400MHz, enter 2,400,000,000. Frequencies below that you’ll need to just do the math in your head and remember that tuning is in reverse. Tune down to go up, and up to tune down. Upside-Down mixing below 2400MHz. 2. Unmodified the Sup-2400 upconverts 250-750 MHz to 1650-2150 MHz. Not very useful for our general purposes unmodified. 3. Likely. A mixer is a mixer after all. BUT it may need further modification. (Something I’ll look at later if there is enough interest). Also filtering is something to be considered both internally and after the unit. You’d need to add amplification after the mixer stage and I would begin testing at less than -20-30dB or lower input power just to be safe.You may hit a few brick walls along the way. I’ve not tried it yet and I would want to comb through the circuit pretty well and clean up any loose ends. Your external RF connections would be reversed. I have enough of them here I may try it later this week and make another post. Where do wires go for the external power? Normally you use a Bias-Tee (aka power injector) to power it. 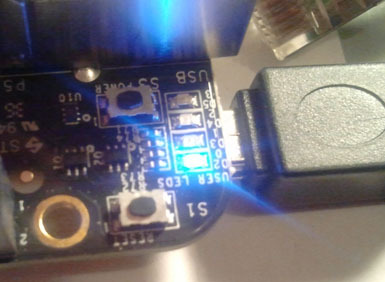 But you could add other external power by soldering connections to the LM7805 power regulator. I feed mine with a 13.8v (fed from a bench power supply) homemade bias tee. 7805 pinout: From left to right Pin 1 is input (7-13.8 is enough to drive it. 9v battery would work for a time) Pin 2 (center pin is ground) and Pin 3 is output to the circuit, leave it alone. Thanks, I’ve received mine from the USA the other day, it did take about 4 weeks to come. I’m going to play around with it in the weekend. I’ve got some kanthal wire, which I used for chipping ps3 years back, that should be ok instead of magnet wire shouldn’t it? That should be fine, as long as its resistance isn’t too high. One thing to consider is keeping it from grounding out against the case etc if it doesn’t have any type of insulation. I’m very intetested in this mod.So in this downconverter. Is there still one you can send me? I am building a prototype for a project and think I need a more sensitive HackRF One that is Rx *only* from 4GHz -5GHz. I tried using the HackRF One for sensitive measurements around the 5GHz band and was unable to discern any measurable signal with/without the EMI kit and conducted the same tests with another HackRF One user and we arrived at same conclusion. The Rx sensitivity rolls off around 3GHz. I tried a low noise amplifier in attempt make any signal stand out to no avail. 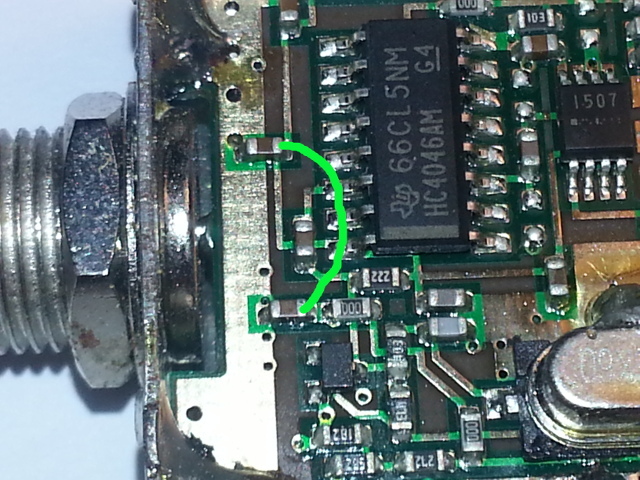 A HackRF user recommended a downconverter. That is what I am looking for at the moment. Do you have any suggestions or advice? 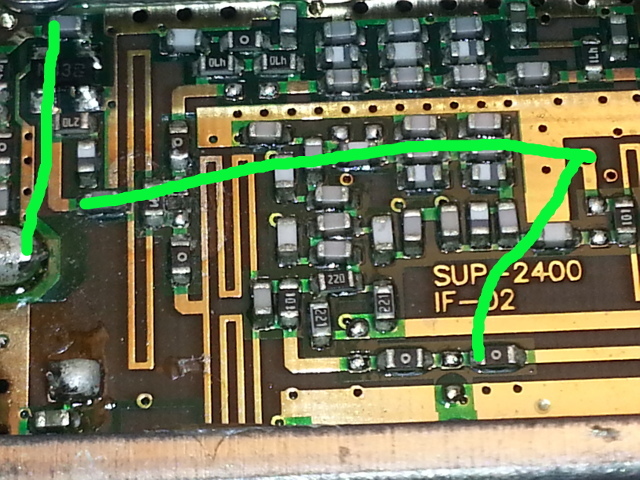 Would you happen to know if there is a PCB & hardware difference between the Rev2 and Rev3 SUP-2400? As far as I can tell from looking online it seems to be a different color of plastic, but I can’t seem to really get a solid answer. Is there a reason why it’s recommended to use Magnet Wire do to the patch ? Less loss in magnet wire ? Thanks for the tutorial, really cool stuff! I reckon you could use what ever is available, but you need to remember you’re soldering it to very tiny points on the board, so smaller the better.. I’ve got magnet wire on hand so I just went with it. very cool. any chance you can provide before and after schematics? Working on another project right now, when I get through that in a few days I’ll see about putting one together. 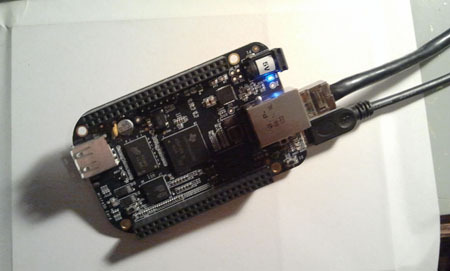 I want to be able to view the 2.4ghz waterfall of wifi, Bluetooth, rc radio tx, etc. with my rtl stick. I’m somewhat confident that I can do the soldering and de-soldering but can you explain more on the “bias tee” part? I’m just now learning about them. Do you have any pre-made ones for sale? The system runs on 5VDC via the LM7805 voltage regulator. I don’t think the voltage from your Airspy will give it enough to run properly through the regulator. However, if you take the regulator out of the picture then yes, you should be able to run it just fine. There are a limited amount of active devices with the regulator out of the way so the current draw may be sufficient. I’ve got an Airspy mini. 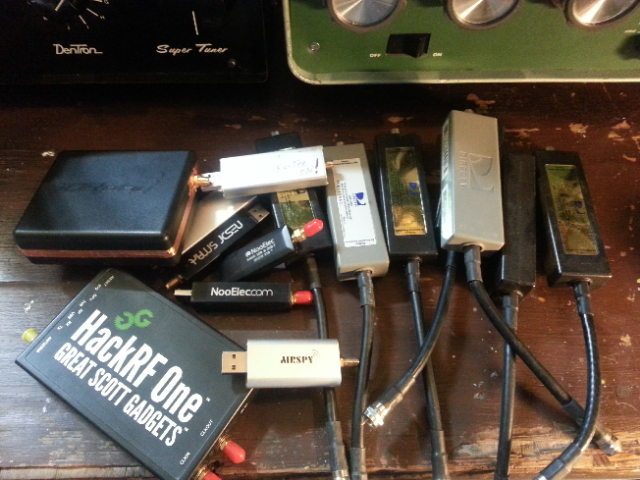 If I get time this weekend I’ll bypass the regulator and see how well it works.Since I got my HackRF I haven’t paid much attention to the sup2400, but the Airspy+downconverter should be an order of magnitude better on the RX side of things than the 8 bit HackRF or RTLSDR. Too many projects and not enough time. Hi: Thanks for the mod, ordered a unit, looking forward to sniffing 2.4g on my SDR! I’m hoping maybe you could help me out if one doesn’t want to use a bias tee can you maybe show what inductor to remove and the best place to tap the plus hot wire. I would greatly appreciate it. I received your mod from your shop (thx for making this available!). But when I want to check on 2.4Ghz (for wifi or bluetooth), I don’t see any changes. I’m simply using a 820T2 rtl-sdr with your device, and sdrsharp. Of course I shifted frequency setting. Antenna is omnidirectional 9db from a hamradio shop. Do I need to add hardware in the setup to make it work (filter ?? ), please? If so, do you have some part number for reference? As I see in videos you’re able to sense this band, I would love to do the same. Excellent job! I don’t understand where to connect power supply. 🙁 Could you advice me, please? Thank you! Has anyone tried changing the 9.375mhz LO crystal to a slightly lower value so as to lower the 2400mhz LO frequency to make the downconverter better suited for use as a simple wi-fi spectrum analyser when coupled with SDR. As it stands the 2400mhz oscilator makes it tricky for frequencies around 2400 ie 2385-2415mhz. In theory an 8.912mhz xtal should give a LO frequency of 2281.4. It’s possible but why would you do that when DirecTV’s done 95% of the work for you. By the time that you desolder all the chips and resistors that matter it’s going to be more work and a lot of these are actually needed. So I was just getting ready to do the tricky solder from the RF input to the capacitor in the far top left corner and I realized that 1: that whole section you are soldering to to the left of the capacitor is grounded to the case so you can connect that wire anywhere on the case or rail ( and thus making it a lot easier) and electrically should be identical and 2: that seems to me that that would be creating a short between the inner coax and the outer coax ground. Am I soldering to the wrong spot or is it indeed fine to have that shorted? Hurrah! Finally I got a website from where I can in fact gett valuable facts regarding my study and knowledge. Great hack! Is it possible to simplify, or improve, if i ONLY need to receive Bluetooth? Thx! i highly suggest SoloVilla for alternative holiday accommodation. Its safe, trustworthy and has class. Can we apply same mod to zinwell SUP 2400?